Largely unnoticed by the mainstream media, the Labour government has been getting on with governing since 1999. I’m talking, of course, about Wales. And Welsh Labour has now started the race to find a new leader who will replace Carwyn Jones. There is a strong field including Health Secretary Vaughan Gething and former MEP and Lords member Eluned Morgan, but this is why I’m for Mark Drakeford, the Welsh Finance Minister and former Advisor to Rhodri Morgan. We live in turbulent times. The ripples from the great crash of a decade ago still disturb the stability of our politics. Many people buffeted by the waves say it’s hard to see where we’re going. It’s a time when inspirational leadership is vital and yet so absent, from Donald Trump to Theresa May. In a small country of Wales, huge historic events like Brexit could swamp our politics, which is why we need great leadership now of all times. What should we be looking for in a Labour leader for Wales at this time? We need someone whose instincts are in line with the culturally socialist values of the people of Wales. Someone who can generate ideas for policies that will build the sort of society based on those instincts and explain those policies clearly. Someone who has the intellect, energy and skill to put those ideas into practice. We need a pragmatic socialist. We need someone who wants to do something rather than be something. In many years of working closely with Mark I’ve seen these qualities. Both of us worked for the late great Rhodri Morgan. When I succeeded Rhodri in parliament and he became First Minister, it was Mark who came up with many of the ideas to help Rhodri pursue his ‘socialism of a Welsh stripe’, which saved Welsh devolution after a rocky start. Policies such as free prescriptions and bus passes opened up clear red water between Welsh Labour and New Labour. When Mark succeeded Rhodri in the Assembly, he was soon brought into the Welsh government. 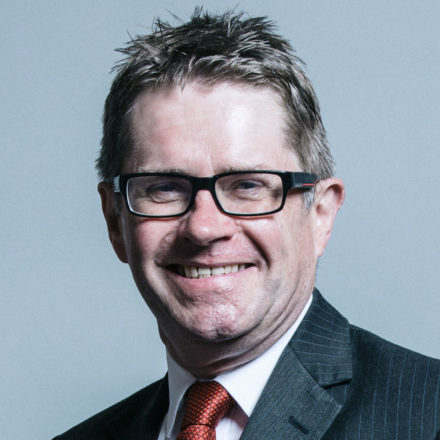 He shone in all his roles as a minister, most recently representing us with great skill at the top table to get the best possible Brexit deal for Wales out of a hopeless Tory government. Despite his wealth of experience, Mark is actually a radical choice for Welsh Labour leader because his administration will not be content to drift along. It will be brimming with ideas and initiatives. He has the imagination to make the most of what is possible for the Welsh Labour government even with an miserly Tory government holding the purse strings at UK level. Mark nominated Jeremy Corbyn for Labour leader but it would be wrong to see him as anyone’s representative. Mark is his own person and for him it is politics and policies that matter – not personalities. He and I share a constituency office. I’ve seen at close hand his energy, hard work and commitment. But perspiration without inspiration is just sweat, just as inspiration without perspiration is hot air. Mark’s combination of hard work and idealism will open up a new aspiration for Wales going forward. Under his leadership, Welsh Labour can show that pragmatic, everyday, democratic socialism is a real alternative to the failed orthodoxy of austerity under the Tories, and make the rest of the UK take note. I am backing Mark – I hope Welsh Labour members will too. Kevin Brennan is MP for Cardiff West.